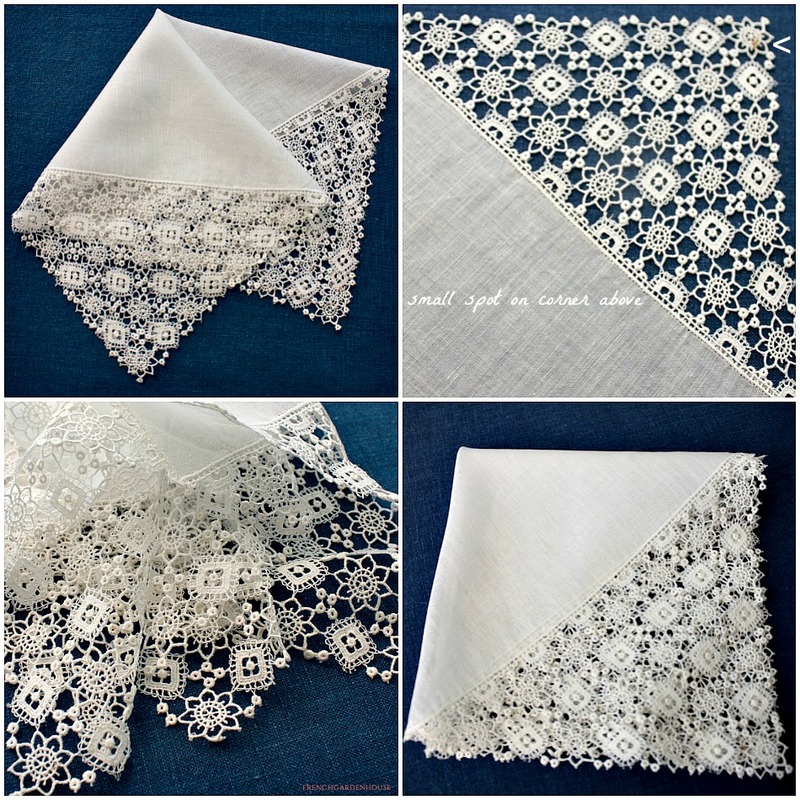 Glorious antique Wedding Handkerchief made of finest sheer White Linen Lawn, adorned with hand made Needle Lace, so delicate and fine, it is a piece of art. Note the delicate "flowers" and geometric designs, so romantic and feminine, on each corner. 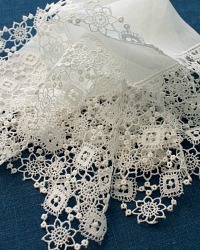 The front is just as beautiful as the back, a masterpiece of the Lace Artists. One small spot, you can see it on the very outer corner of the hankie in the close up photograph. 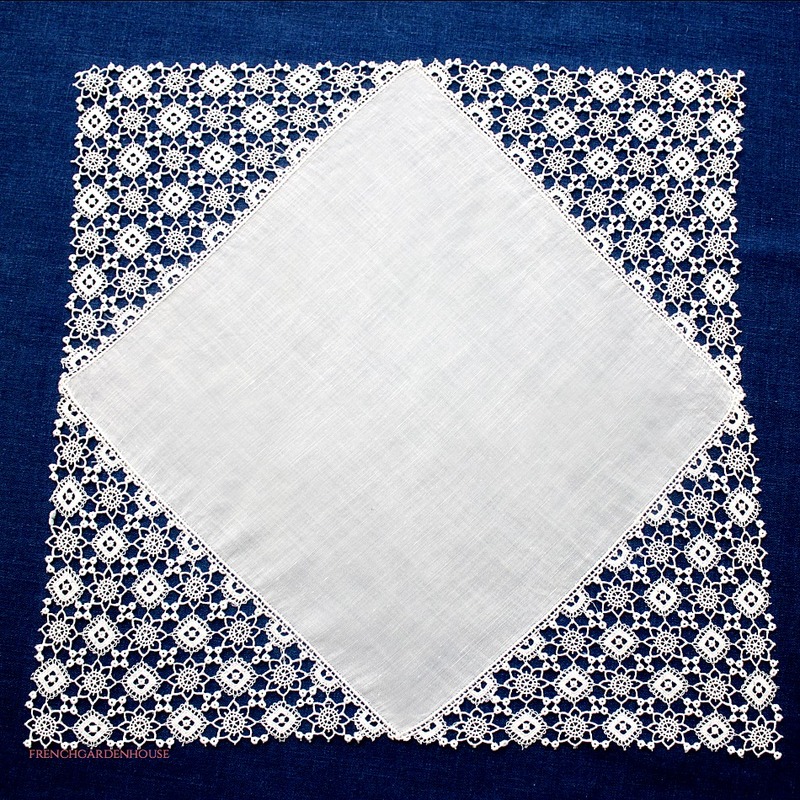 Exquisite luxury handkerchief to gift to a special Bride, the perfect "something old". 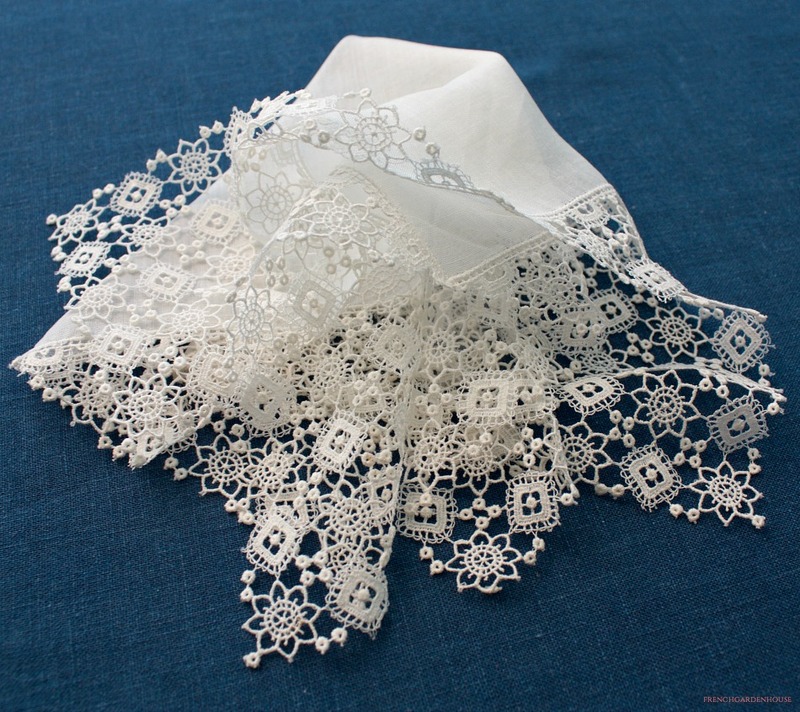 Or add this to your collection of antique linen and lace, this is truly a museum worthy piece and will be a cherished heirloom to pass down to future generations. Dates to the late 1800's.